Not a single lyric on Songs Were Made To Sing was written by Mary Stallings, but each one represents a chapter in her life and a piece of her soul. On her latest album, due out May 17 from Smoke Sessions Records, the incomparable vocalist has crafted an exquisite collection of classic songs to reflect on a life well and passionately lived. With Songs Were Made To Sing, Stallings puts her distinctive stamp on a diverse set of 13 songs, using her gift for interpreting a lyric to transform familiar melodies into profoundly personal and captivating stories. From the youthful passions and heartbreaks of “Stolen Moments” and “Lover Man,” to the wistful ruminations of “While You’re Young” and “Give Me the Simple Life,” Songs Were Made To Sing travels a journey of decades, with songs that collect wisdom and maturity along the way. Impulse ripens to romance, hope deepens to reflection, and Stallings’ voice captures every emotional step along that path with a perfectly chosen lyric from some of the greatest songwriters of all time. Writing about Mary Stallings The New York Times declared that “perhaps the best jazz singer singing today is a woman almost everybody seems to have missed.” Bay Area jazz lovers chuckled ruefully over yet another blast of East Coast parochialism, long recognizing Ms. Stallings as a singular jazz treasure. Her talents were also recognized by the likes of Dizzy Gillespie, Billy Eckstine, Count Basie, Cal Tjader, Ben Webster and Wes Montgomery, who all went out of their way to showcase this supremely soulful singer. For her latest HighNote outing, Bruce Barth occupies the piano bench and handles the arranging duties with Peter Washington and Kenny Washington rounding out the rhythm section. Mary herself requested the added tone color of Steve Nelson’s vibes, Freddie Hendrix’s trumpet and the latin percussion of the irrepressible Ray Mantilla. So here again is Mary Stallings, enjoying her recording resurgence, singing with such confidence, poise and authority that every tune feels like a custom-tailored garment expertly made for her fine-grained tone, relaxed phrasing and supple sense of swing. Mary Stallings enchants audiences around the world with her divine musicality, elegant stage presence, and a voice that is, according to the San Francisco Chronicle, “supple and timeless, encompassing the whole history of music.” The New York Times says she’s “perhaps the best jazz singer alive today” and her 2013 HighNote recording offers ample proof. With the supremely gifted pianist, composer, arranger Eric Reed as Music Director, Mary offers ten tunes which show the full range of her considerable talents. Recorded fresh from a series of performances at New York’s prestigious venue Dizzy’s Club Coca-Cola, Mary Stallings’ latest HighNote title places her firmly in the pantheon of great female jazz singers of this, or any other time. So respected is her art and musicianship, Mary was chosen to be the first jazz performer to ever appear at the venerable and heretofore classical-only National Theater in Prague. A singular honor, to be sure and the latest in a series of awards and distinctions that Stallings has been gathering since her first HighNote release in 2010. Since then Mary has appeared several times at Dizzy’s, was the honoree at the 2011 SF Jazz Gala — the groundbreaking ceremony for the only stand-alone jazz venue in America — the Tanglewood Jazz Festival in Lenox, MA as well as countless jazz clubs and rooms on both coasts. 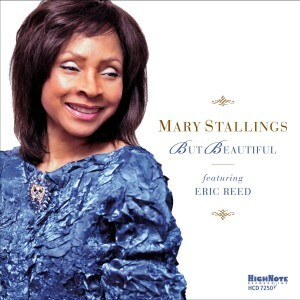 Here, together with music director and pianist Eric Reed, Mary lends her sultry and swinging voice to a dozen selections and shows why she is no longer jazz’s best-kept secret. 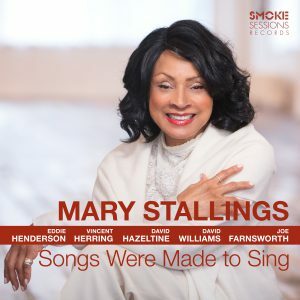 Passionate, robust singers with the sensitivity of a Carmen McRae and the sass of a Dinah Washington aren’t exactly thick on the ground these days which is what makes Mary Stallings’ return to the studios a cause for rejoicing. Her voice is, at once, contemporary and timeless, encompassing the entire history of jazz vocals. 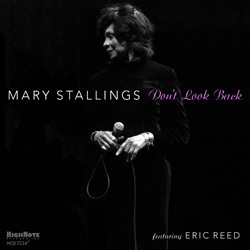 For her HighNote debut, Mary Stallings, a former colleague of Cal Tjader, Dizzy Gillespie, Count Basie and others sails through a program of standards and obscurities with elegance and ease, her slightly blues-tinged phrasings beautifully supported by pianist and arranger Eric Reed.